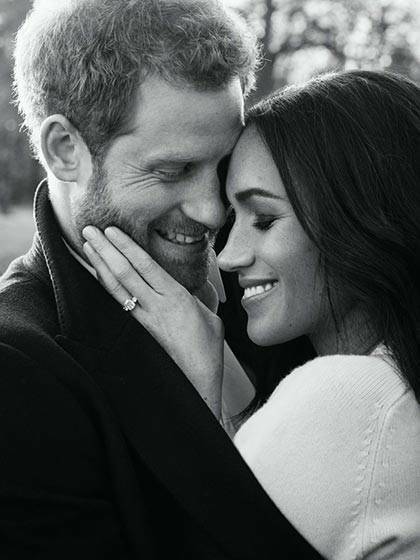 Prince Harry and Meghan Markle released official photos to mark their engagement, which was announced last month. 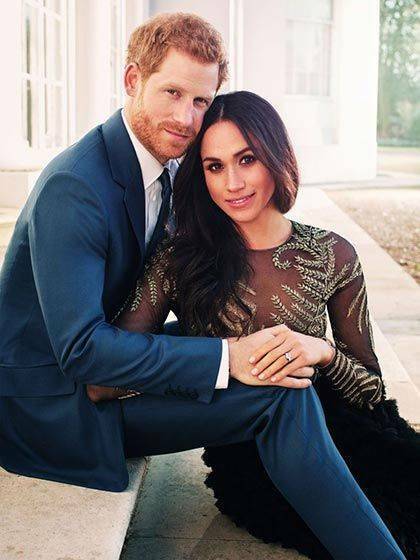 Harry and Meghan chose Alexi Lubomirski to shoot their engagement photos. Alexi grew up in Botswana, a particularly favorite country of the prince, but studied his craft at the University of Brighton. He has worked with Beyoncé, Gwyneth Paltrow, Jennifer Aniston, and Sarah Jessica Parker, to name a few, and recently a Maybelline campaign starring Gigi Hadid. Last year, he released an entire series to promote and celebrate diversity shooting the likes of Lupita Nyong'o and Hari Nef. Alexi has royal blood himself and inherited the title "His Serene Highness Prince" from his birth father's royal Polish heritage. 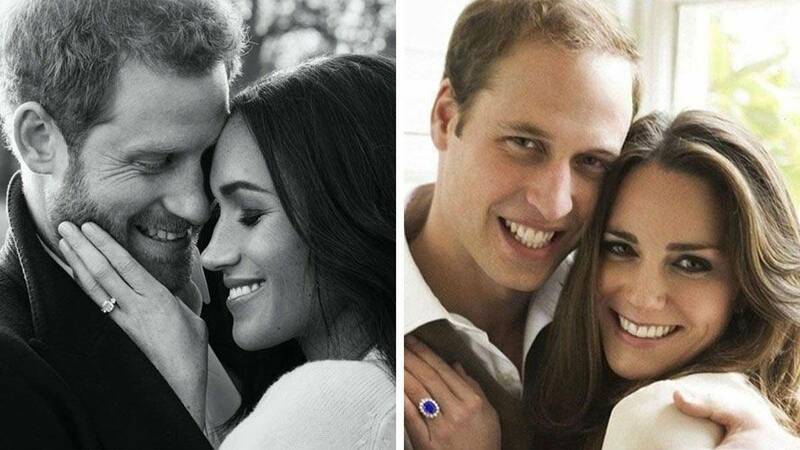 Prince William and Kate, on the other hand, opted for esteemed photographer Mario Testino to capture their newly engaged moments (Alexi actually used to be Mario's assistant before making it himself). Mario's portfolio of editorials, superstars, and high-fashion adverts is well-known but what most probably encouraged William to select him was that he was a favorite of his late mother, Diana, Princess of Wales. Mario later told Hello magazine that the more informal photo was impromptu: "I wasn't totally satisfied. Then, when I'd finished the shoot, they were about to leave and they suddenly hugged in front of a radiator. It was spontaneous emotion. You could see they were completely in love." William and Kate were photographed at the royal residence of St James' Palace in central London where William grew up with his brother and father Prince Charles. 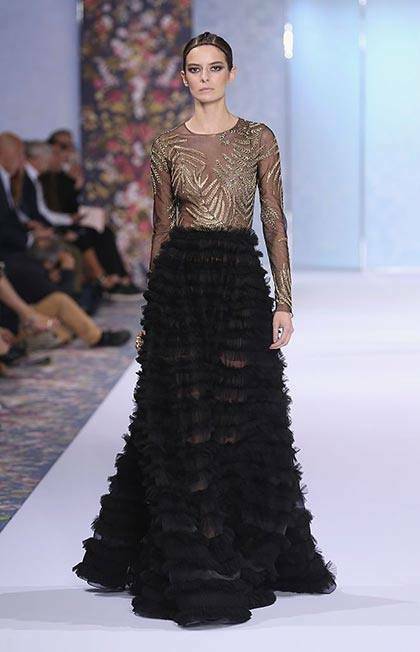 Meghan is continuing to pave the way as someone to watch in the fashion sphere by choosing a sheer, full-length Ralph & Russo dress with gold embellishment detailing for the color portrait. She wore a white jumper by Victoria Beckham for the black and white shot.